Since 1994, Transhield covers have provided protection from the elements during transportation and storage. 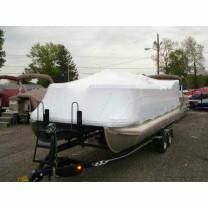 Weather and road conditions can wreak havoc on a poorly covered boat. Transhield covers provide protection from road debris, UV rays, corrosion, moisture, mildew, and general surface damage thereby reducing exposure to warranty and repair issues. Mr. ShrinkWrap is a leading distributor of Transhield covers and has several technicians on staff to help troubleshoot and discuss various aspects of any Transhield product. If you have a question, give us a call at 800-847-5290. Custom Sizes Available, Get a Quote Today on Your Project!. Free Standard Shipping on Accessory Item Purchases of $300 or More - This offer excludes Shrink Wrap, Transhield Covers, Syfan Products, Paragon Single Rolls/Cases, Single Rolls of Blue Duct Protection Film, Single Rolls of Pallet Bags, and Machines. Offer Available only in the Lower 48 US States - We may substitute USPS delivery where the projected delivery date is the same or earlier than the chosen carrier. * Combine with the above $25 off special to save even more! Free Standard Shipping on all Propane Heat Guns - Including Shrinkfast, Ripack, & Express Brands. Offer Available only in the Lower 48 US States. All of the above specials can be combined when products qualify and code is used. *Disclaimer: Mr. Shrinkwrap reserves the right to choose shipping carrier for any Free Shipping promotions. 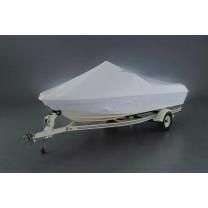 Free shipping promotions cannot be applied to expedited or overnight services. CLICK HERE FOR OUR CLOSEOUT SPECIALS!